Join us as we kickoff this fall StoryWalk® at the Fells! 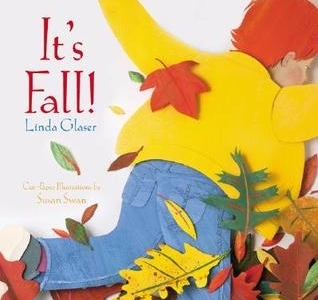 We will meet at the play area at Greenwood Park, meander our way through the Crystal Springs Trail while reading the pages of the story It’s Fall, by Linda Glaser. When we finish, we will enjoy a craft, sing-a-long, and other fun activities. Registration requested but is not required. Call 781-246-5187. It’s Fall! 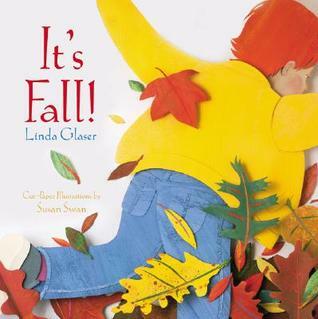 by Linda Glaser is the next book for our collaborative StoryWalk® from Saturday, October 7 through Sunday, October 22. The book brings out all the colors and beauty of the fall season. Skip and swoosh through the leaves, as red, orange, yellow, gold and brown leaves fall down around us. A marvelous way to experience the colors and textures of fall, explore the wonders of autumn, including the animal life, the plant life, and the weather of the season! The walk begins at Greenwood Park, in Stoneham (across from the Stone Zoo), and will continue along the Crystal Springs Trail in an easy, 1/3-mile loop. Foster your child’s connection with nature as well as their literacy skills by participating in our StoryWalk® in the Fells! This project is a collaboration of Friends of the Middlesex Fells Reservation, Massachusetts Department of Conservation and Recreation, Malden Coordinated Family and Community Engagement, Mass in Motion, Medford Family Network and North Suburban Child and Family Resource Network.